The Teddy Bear Museum is in Dorchester, Dorset. It first opened in Bournemouth in 1990 as The Bournemouth Bears and in 1995 relocated to Dorchester, where it was renamed Teddy Bear House. It moved again to accommodate a growing collection, and became The Dorset Teddy Bear Museum. It is Britain’s oldest teddy bear museum and its earliest specimen dates from 1906. 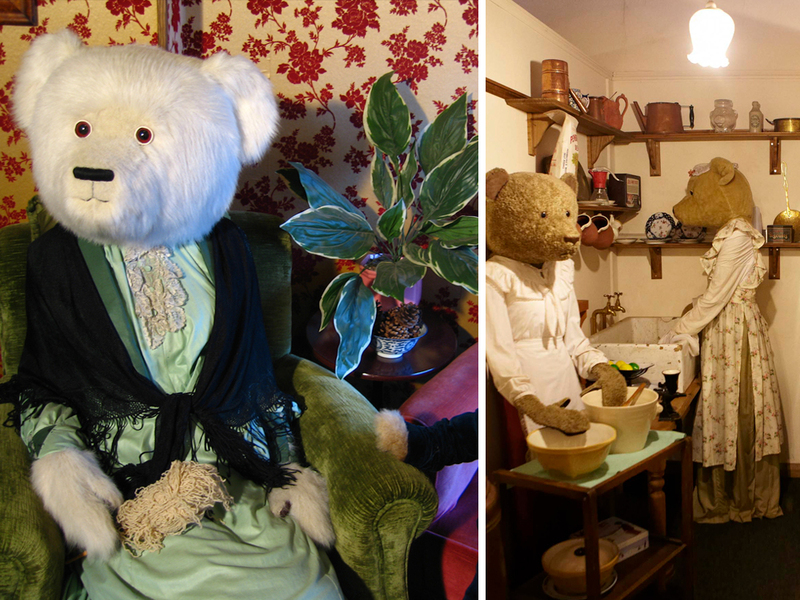 The Museum is furnished in period fashion and features life-sized bears who themselves appear to collect teddy bears. The collection includes replicas of some well-known bears such as Winnie the Pooh, Rupert Bear, and Paddington. Image via The Teddy Bear Museum. buscaba, muchísimas gracias por compartirla. Saludos!